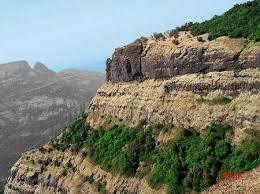 Matheran is a hill station in Karjat Taluka of the Raigad district in the Indian State of Maharashtra. 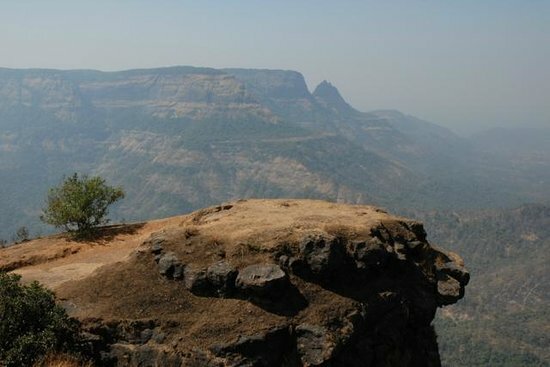 Matheran’s proximity to Mumbai makes it a popular weekend destination. Matheran, which literally means “forest on the forehead” (of the mountains) is an eco-sensitive region, declared by the Ministry of Environment, Forest and Climate Change, Government of India. And It is Asia’s only automobile-free hill station. 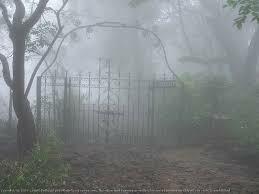 I always wanted to camp in Matheran for couple of weeks to write stories of my life. A friend of mine recommended a bungalow that I could rent near the Charlotte lake. I chose the period right after the end of monsoons and before the Diwali vacations to avoid the noisy tourists. The location of bungalow was in the woods. Besides it was just 2 km away from my favorite Louisa Point – that has a cliff resembling lions head. I always drew inspiration and solace sitting alone at the Louisa Point in the morning. I decided to take early morning walk on the muddy road from my bungalow to Louisa. I knew that this walk in the woods followed by a majestic view of the valley from the cliff would help me to brew my “stories”. I looked where the watchman pointed and saw an old Parsi man watering the trees with a hose. He seemed to have noticed me too as he waived and walked towards me. We spoke and in the next 5 minutes we were sitting in the main hall of the “Dinshaw bungalow”, Mrs. Dinshaw joined us with a warm smile. After brief introductions and few pleasantries, we got along very well. “Dr Modak, why don’t you join us for a breakfast?” Mrs. Dinshaw seemed very hospitable. “Sohrab, you better shave and be more presentable before you sit next to Dr Modak” Mrs. Dinshaw got into the kitchen and Mr. Dinshaw (Sohrab) walked to the adjoining room to shave. The room had a closet and a large washbasin with mirror on the wall. I sat in the drawing room and picked up a newspaper that was lying on the teapoy. This newspaper looked very strange. It carried a mast “Tomorrow” – a title I had never heard or come across. The date on the newspaper was March 15, 2018 when todays date was September 15, 2017! I was simply aghast to see a Newspaper what was printed six months earlier and was essentially carrying news of Tomorrow!! I found the news very disturbing. Is this the future we see and future we want? I said to myself. There was no name of the Editor and publisher of the newspaper. “Sorry Dr Modak – it took me much longer than expected” Mrs. Dinshaw appeared with a masala tea with Brun muska (butter) and placed the tray on the dining table that had a marble top. She noticed that I was reading the Newspaper “Tomorrow”. “Sohrab – the breakfast is ready” She yelled while taking the Newspaper away from me. She carefully folded it and placed inside a tall camphor chest that had a top carved with a Spanish ship with pirates. I thought the Newspaper must be somebody’s prank. But I thought that I must still ask the Dinshaws about this strange Newspaper and where did they get it. But when we started the conversations, I simply missed asking. Dinshaws were explaining to me their philosophy of life. The bungalow was more than 150 years old and was a heritage property. Dinshaws moved in after parents passed away some 10 years ago to look after the property and live life in peace. Mrs. Dinshaw smiled “We get a lot of satisfaction when we do something in time and find that we are still useful to the society” She said this while pouring more masala tea for me. I noticed her wrinkled face. The Dinshaws must be above 70 years I guessed. 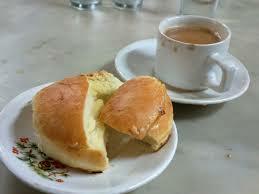 “Come Dr Modak, let me take you to a tour of the bungalow” Mr. Dinshaw invited me after we finished the breakfast. I was most pleased with this invitation. 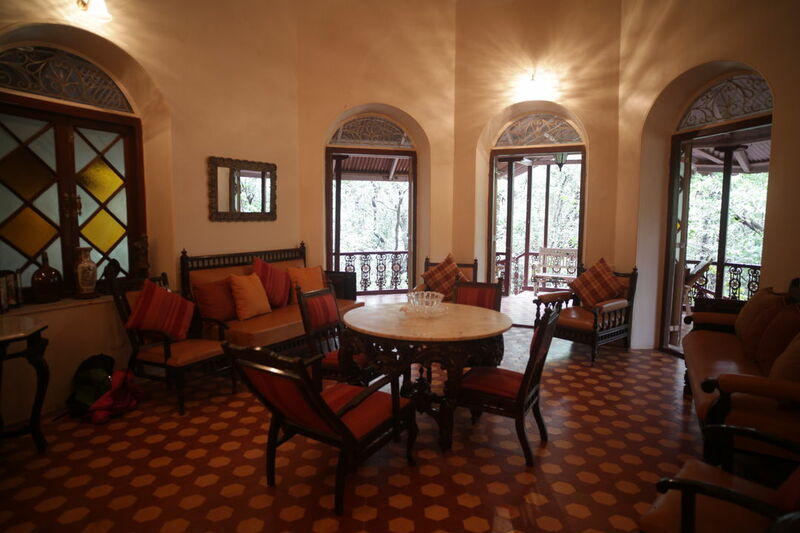 The rooms in the Bungalow were elegant with antique parsi furniture with old chandeliers hanging on the ceiling. But I was shocked and surprised when we reached the verandah on the rear side of the bungalow. The verandah faced the valley and it was so close that you can almost jump or fly out if you had the wings! When I spoke about this feeling to Mr. Dinshaw, he said “Why not Dr Modak? Stretch your imagination and you may really fly – you just need to be inspired enough”. I thought Mr. Dinshaw was right. Valley View from Mr. Dinshaw’s Verandah – You will be inspired to fly if you have the wings! It became a ritual for me to say hello to Mr. Dinshaw during my morning walks to Louisa Point. There were occasions when Dinshaws would invite me for the breakfast. I would look for the newspaper Tomorrow and get disappointed when I would see instead todays edition of the Times of India lying on the teapoy. I sheepishly stepped aside when I saw Mrs. Dinshaw walking towards me with a tray with Masala Chai, Akuri (spicy scrabbled egg in Parsi style) and Muska Pav (thickly buttered bread). The newspaper was taken away, folded and kept in the mysterious camphor chest. These headlines looked good and showed some signs of hope. Mr. Dinshaw was a municipal engineer of repute with a degree from Harvard and had strong ideas and views on the management of solid wastes in cities and building of environmentally sound and socially sensitive road infrastructure. I thought for a while that Mr. Dinshaw must have influenced some of these decisions in the interest of doing something good as he knew the “problems” in advance or ahead of time ! “You are hallucinating Dr Modak”I said to myself. In the next week, I missed taking my morning walk as I was in a fervent mood to write. I did not want a break and I continued pounding keys on the keyboard of my laptop. Finally, I could complete my “story” by late afternoon. I decided to walk up to Louisa and drop in to say “hello” to Dinshaws. It was late evening and an unplanned visit. The watchman must have gone home as there was no one at the Gate. I walked in. I reached the drawing room. There was no one. 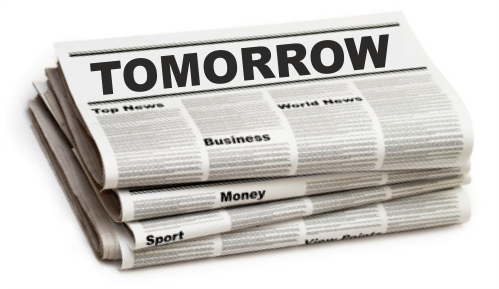 A copy of newspaper “Tomorrow” was lying on the dining table this time. The Newspaper was dated for September 25 while todays date was September 22. Future but not too distant – I thought. A prominent headline was “Water supply to Mumbai under threat – A new form of terrorism”. I simply froze and shuddered with the thought what if someone does contaminate the reservoirs holding Mumbai’s water supply with toxic chemicals! I called for Mr. Dinshaw. No one answered. So I went to the verandah on the rear side. I saw Mrs. Dinshaw standing there on the ledge of the verandah almost in a trans. It looked as if she was to about to jump and “fly” out to some destination on a mission. Her eyes were shining, and it was the first time I noticed that she had Vulcan ears!! 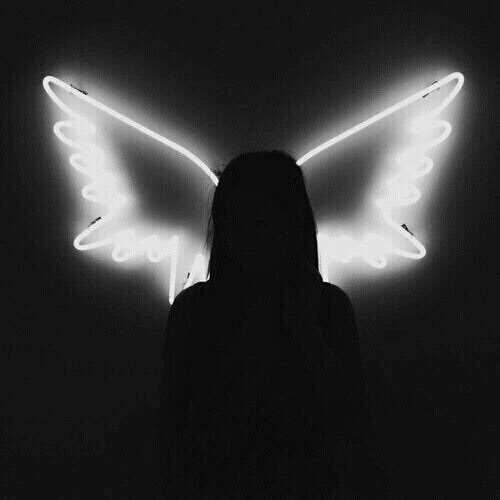 There was a hallow around her with a shape of wings. I looked into the valley beneath and I saw a humanoid bird with large wings – flying. Was it Mr. Dinshaw? And was he waiting for Mrs. Dinshaw to join? Where were the Dinshaws expected to fly? Perhaps to see the Municipal Commissioner of Mumbai? and warn him that such a sabotage was going to happen. To do something good and in time. This post introduces an innovative scheme called Half-Time that is rumored to be launched on the eve of the New Year in the interest of sustainability in India. Here is the “story”. I went to see my Professor who was advising a company managing Mutual Funds on the Green Bonds. We chatted about the impact of Moody’s recent upgrading of rating to India to Baa2 from Baa3. Professor’s view was that this upgrading was long overdue. “These international rating bodies have been unfair to appreciate the progress made by India” He said. While serving a special black coffee, he showed me a report on his desk from Dual Citizen, a US-based data consultancy. This report was 2016 edition of the Global Green Economy Index (GGEI). The report ranked 80 countries on both how green they are perceived to be, and how well they (actually) perform. Professor said that on perception, India was not bad and was ranked 19 out of the 80 countries that were researched (Note that India was on rank 16 in 2014). Germany was on the top of this list. On the performance side however where Sweden was on the top, India’s rank was 68 (it was on rank 49 in 2014). This rank was really low and of grave concern. Clearly there was a contradiction between “talk” and the “walk”. According to the IMF World Economic Outlook, India, Bangladesh and Senegal should realize GDP growth between 6-8% in 2016. Yet in a trend that has been observed in previous editions, these countries perform poorly on the new GGEI, raising the question of what kind of growth these nations are realizing and how sustainable it is. I couldn’t disagree with this observation. I was shocked with this “secret” news. In several team-based sports, matches are played in two halves. 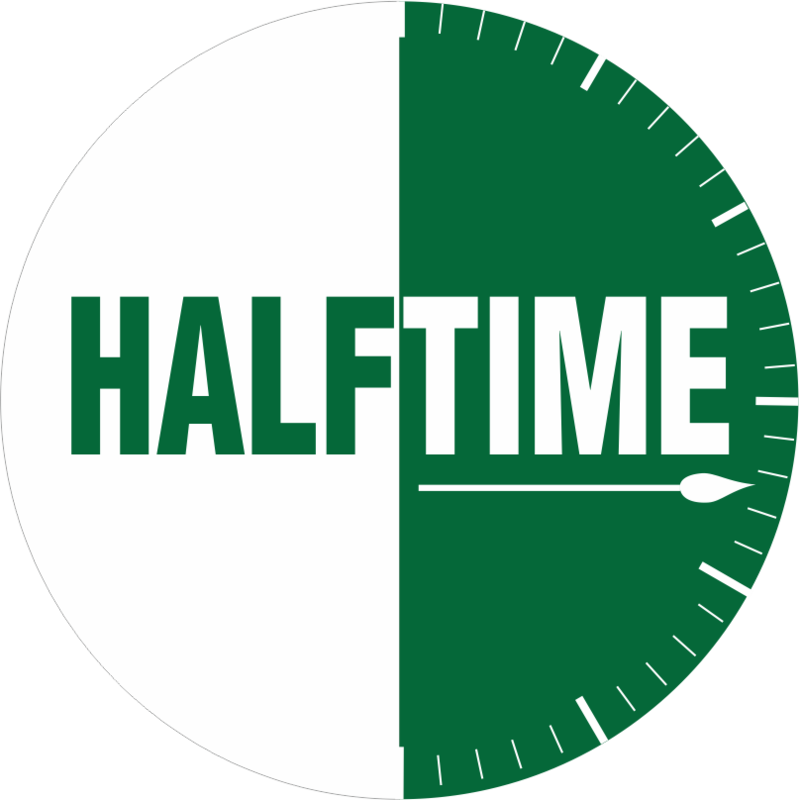 Half-time is the name given to the interval between the two halves of the match. What I have proposed to the PM is to direct the citizens to live life in two halves – one half for the usual or allotted work and other half devoted to put sustainability in practice. “This transformational reform (essentially a directive) will be vigorously implemented across India. It will reduce the contradictions between the perception ranking and ranking based on actual practice or implementation. We will achieve all colors of the economy – i.e. green, blue and purple. A pilot phase of this Scheme has been already commissioned in Mumbai. Based on the pilot experience, our PM will announce the Scheme across the country, on the eve of the New Year. “But what is this Scheme about?” I wanted to know the details. I thought the Professor was right. “Take case of a middle class Mumbaikar. On an average a Mumbaikar travels 1.5 hours each way to reach the office and get back home. Mumbaikars are tired and frustrated in the journey and also in the office as they breath poor air quality (indoors as well as outdoors), watch heaps of garbage and flies around, drink overly chlorinated water at the taps and cope up with a sad and uninspiring boss. They eat vegetables that are rich in pesticides and cook meat that has high levels of steroids. All they can do is criticize the civic bodies and their administration, builders, automobile makers, politicians, NGOs and the like. Media loves this jinx by hosting shows on their TV channels on the “pollution menace” or as a breaking news on the poor quality of life. Nothing changes on the ground. Of course we have the rules, regulations, fines….” Professor stopped as there was no point to elaborate. I thought the Professor was right once again. I thought this strategy was superb. “But Dr Modak, there are exceptions of course. Half-Time Scheme for instance is not applicable to essential services such as fire department, hospitals, water supply & solid waste management department etc. Half-Time scheme is also not applicable to our defense forces. There are several such caveats” Professor said this in a cautionary tone. He looked into the watch and noticed that was nearing 1 pm. “Well Dr Modak, I better leave as I must grab my lunch quickly and join the team on my Half-Time project”. He extinguished the cigar. Professor left for the Taj. I realized that these investments were certainly important to maintain or improve the Moody rating. I kept wondering however whether these projects will really bring sustainability to this city. But perhaps that was not the point. I have written in my space of three decades of career a few books and publications. But I was always craving to craft a book on the subject of Environmental Management & Sustainability. I wanted to structure a book that could meet the needs of academia, professionals in practice and communities. I also wanted to position the efforts taken by the businesses, financing institutions, policy makers and regulators; compile some of the success stories and cite leadership examples. In addition, I thought that the book should serve as a textbook to run a 36-lecture post graduate course at the universities. Since 2015 I started working on this project with CRC Press (Taylor & Francis Group). The task was arduous and challenging. It took several iterations of re-structuring and re-writing. Nothing is perfect when you write! And your quest to be good, often plays the devil! All of us have experienced this uneasy process when you want to create something different. You struggle. In 2016 I suffered from a cardiac stroke and then several setbacks came along on the health front that led to interruptions and delays. I doggedly continued and finally the book was completed by August 2017 for processing at the publisher’s end. My last twenty years of consulting practice at my company – Environmental Management Centre LLP – greatly helped me in this endeavor. My colleagues at EMC played a key role in helping me to pull the examples, doing proof-reading and in referencing. Sustainability has been dear to all of us. Way back in 1996, we wrote our mission statement as “Practicing Sustainability to the Advantage of All”. I am happy to inform you that the book will now be released by end of December 2017. I hope I will receive a set of copies of this book on my birthday – January 4, 2018! The book has been structured in six Chapters. The first Chapter introduces the critical issues the world is facing today with relevant statistics, underscoring the importance of recognizing the nexus. The key concerns on polarization of population due to urbanization and skew in the global material flows are discussed. The Sustainable Development Goals (SDGs) are outlined highlighting importance of Resource Efficiency (RE) and Secondary Material Recycling (SMR). The Chapter ends by introducing the concept of Circular Economy (CE). Chapter 2 introduces the stakeholders to sustainability such as G (government)-FI (financing institutions)-B (business)-C (community). It lists the key governing principles that need to be put into practice. Responses from the national governments at policy level are then described – introducing examples of constitutional provisions. Next, the planning related interventions are illustrated with case studies such as zoning, eco-cities, eco industrial parks or eco-towns. Regulatory frameworks are then dealt with, citing examples of standards and their evolution in the life cycle perspective. In Chapter 6, the focus is on the role played by the communities. Communities play an extremely key role when it comes to achieving results on the ground. Sometimes the community plays a role as a watchdog, sometimes a facilitator and sometimes takes a leadership which we often call as Community Driven Development (CDD). Chapter 6 also underscores the importance of awareness, education, training and innovation. The topics such as Traditional Ecological Knowledge (TEK) and eco-entrepreneurship are also introduced in this context. The Chapter presents several case studies where social enterprises have been set up for the benefit of community at large. The importance of linkages between sustainability and innovation is brought out where we show how businesses and the governments along with the local community are moving on the path of innovation. The Chapter presents case studies that emphasize importance of partnerships across communities, government, financing institutions and the business. The book uses around 140 examples/case studies in the form of boxes. In each box, there are discussion questions and references for further reading for the interest of the students and the faculty. I put considerable efforts and emphasis on examples and discussion questions as I thought that this feature would make understanding, learning and teaching more effective and interesting. 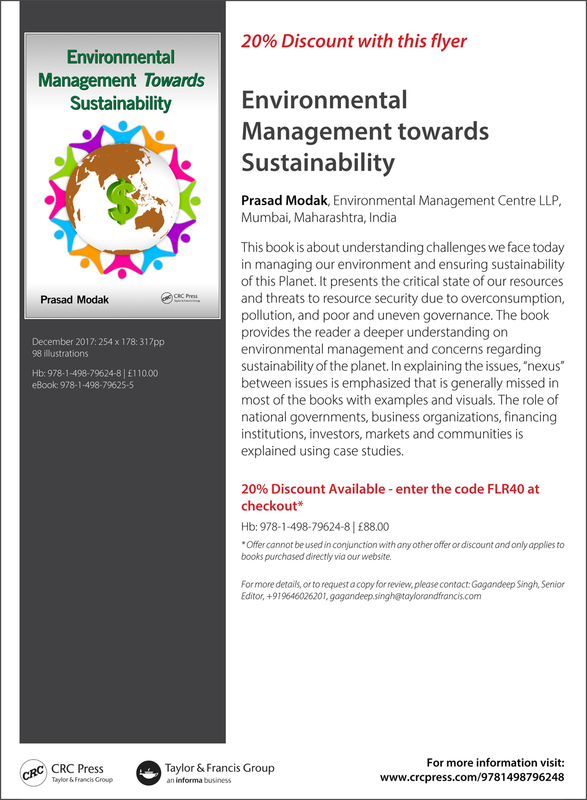 The book may be used as a textbook or a principal reference to design and conduct a 36-lecture course at graduate level on Environmental Management and Sustainability. The instructor could intersperse these lectures with practicums, discussion sessions and brainstorming events. For each of the case studies the book has the lead references given. So, the student is encouraged to go through the original references from where the case studies have been drawn and then discuss the case studies in much more detail. One could also use the book selectively depending on the audience. The content of Chapters 4 and 5 which are little more focused like on Business could be used in combination with Chapter 1 (as an introduction) to conduct short term training programmes. Similar approach could be used to train offers of the government, financing institutions and the communities. The book does not delve in detail on specific environmental management tools. However, concepts of Life Cycle Assessment (LCA), practices in Environmental Impact Assessment (EIA), ISO 14001 Environmental Management System (EMS), frameworks such as Sustainability Assessment of Technologies (SAT) are introduced. The book cites number of references to gives directions to the reader on how to deepen knowledge on some of these tools. The students and practioners are encouraged to follow the references. The instructor can even consider exposing the students further by setting up reading assignments and prepare notes. For example, students may be encouraged to do a study on the application of LCA on some of the interesting products like washing machine, or plastic bags and then present these assignments in a group work and share with each other the methodologies used. I must say I was fortunate to receive consent of Dr Bindu Lohani, my doctoral research guide and Ex-Vice President of the Asian Development Bank in Manila to write the Foreword for the book. His words of encouragement in my book are a result of our long relationship over past 35 years! This book in summary makes an attempt to present an interesting and useful compilation of experiences put in the perspectives of key stakeholders such as government, financing institutions, business and the communities. I do hope that you find this resource useful and help to put sustainability in practice. The book is now listed on Amazon. Visit crcpress.com to avail 20% discount. Enter the code FLR40 at checkout. I plan to conduct a series of lecturers based on this book on Saturday mornings in Mumbai, commencing from January 2018 till March end, 2018. I am keeping these sessions FREE just for the joy of speaking on this subject and to be in the company of people who are interested in sustainability. I am looking for a sponsor who will lend me a lecture room with video recording facilities as I plan to set up a website for this book with video clips of my lectures for potential e-learning. If there is any progress on this front, I will send you a notification. So where do you take your sabbatical? I had booked a seat for a concert at the National Center for Performing Arts (NCPA). The NCPA in Mumbai is India’s premier cultural institution. Inaugurated in 1969, it was the first multi-venue, multi-genre cultural centre in South Asia. The concert I was to attend was by the legendary music director Zubin Mehta. Zubin Mehta’s list of awards and honors is extensive and includes the “Nikisch-Ring” bequeathed to him by Karl Böhm. 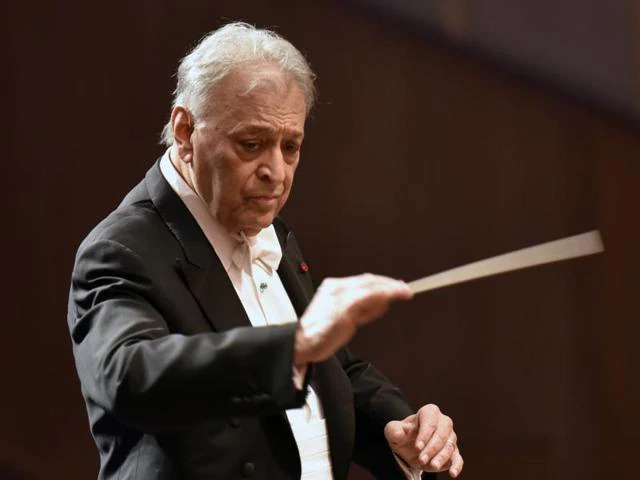 Even at the age of 80, Zubin Mehta continues to support the discovery and furtherance of musical talents all over the world. He is the co-chairman of the Mehli Mehta Music Foundation in Bombay where more than 200 children are educated in Western Classical Music. I was a bit late for the concert and hence was worried whether I would be let in. I sat down. And just then the great 80-year-old “Bombay Boy” Zubin Mehta walked on the stage. The two-hour programme was to feature compositions by Dvorak, Beethoven and Ravel. But I kept wondering how the door-keeper recognized me. And his voice sounded a bit familiar. After the first break, I thought of having a coffee in the lounge and look for some familiar faces. And there was film and ad personality Gerson Da Cunha, age 87 (who studied in the same school of Zubin), Feroza Chavda, a regular to NCPA and a music lover from Kemps Corner, Shyam Benegal – the famous film director and a 14-year-old Behram Hathi, who is a violin student at the Mehli Mehta Music Foundation. Most were engaged in discussions in soft voices about Zubin and the composition he rendered of Dvorak in the first half. As I was getting back in the auditorium, I saw the door-keeper once again – guiding the people. I took a good look, and I suddenly realized that the door-keeper was none but my Professor friend. No wonder why the voice sounded familiar. He looked a bit different as he was dressed in a uniform that had the NCPA emblem. “What are doing here Professor? And how come you are on this job?” I pulled him on a side. “Well, I am on a sabbatical Dr Modak. I will be working here as a door-keeper for the next 2 months. I just joined NCPA two weeks ago”. Professor said. Sabbatical (i.e. Sabbath, literally a “ceasing”) is a rest from work, or a break, often lasting from two months to a year. 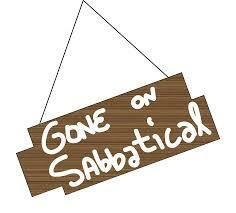 In recent times, “sabbatical” has come to mean any extended absence in the career of an individual in order to achieve something. In the modern sense, one takes sabbatical typically to fulfill some goal, e.g., writing a book or travelling extensively for research. Some universities and other institutional employers of scientists, physicians, and academics offer the opportunity to qualify for paid sabbatical as an employee benefit, called sabbatical leave. Professor asked me to stay after the concert as he was busy attending to the door. When we were driving back, Professor explained his philosophy. “In my sabbatical so far, I learnt that it is not just the main conductor that you should focus– but also look at other key artists who are supporting the overall outcome. 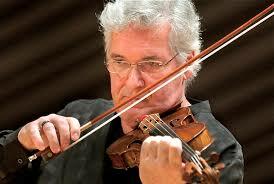 Remember the violinist, Pinchas Zukerman who often played with Zubin? I wish I could attend their joint concerts”. Professor said. ” Outcomes of sustainability initiatives are often like a well construed piece of art. Sustainability initiatives recalibrate with our traditions & the culture. They are supported with foundations of science. Since the outcome is often a behavior change – you need to give credit to the entire Team and especially to those who participate” Professor said while dropping me home. I thought he was absolutely right. There was lot to learn in connecting sustainability outcomes with the concerts of Zubin and Yanni and the like. Sustainability should resonate like a concert. I remembered Mary Simpson, the great Violinist in Yanni’s concerts and especially her enthralling violin piece in “Felitsa” (Don’t miss watching the clip below). Indeed, musicians like Mary and Pinchas are as important as the principal conductors. The next day when we met at our usual coffee shop, Professor told me that many years ago he did a sabbatical as a Liftman at the Navsari building in Fort, Mumbai. 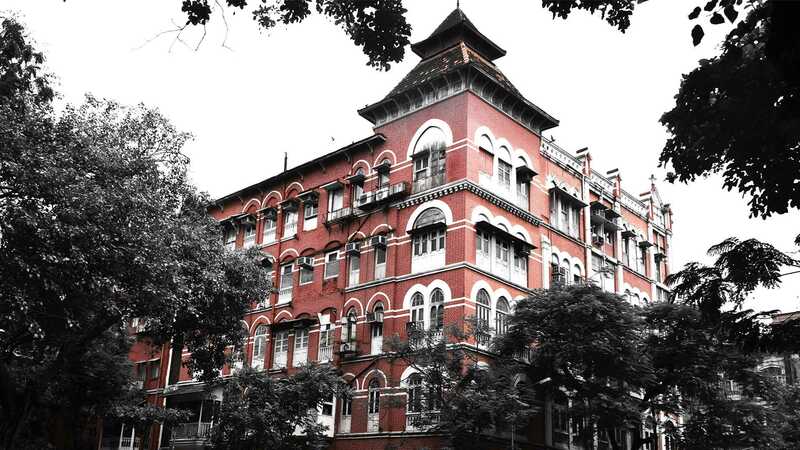 Located at DN Road, Fort, in Mumbai, the Navsari Building was bought over from the Tata’s in 1928 by the Kotak family of industrialists. 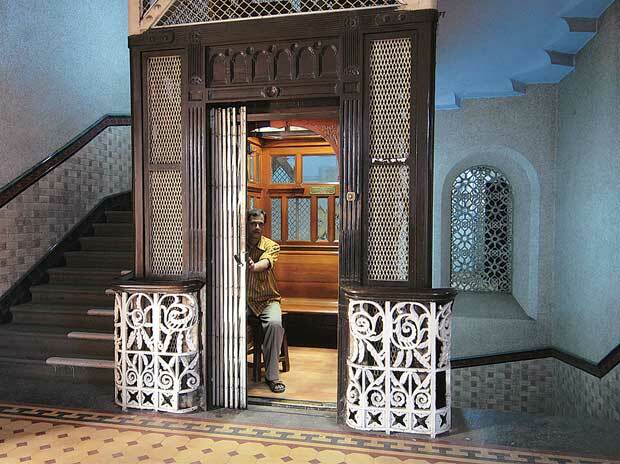 The Navsari Building houses one of the oldest lifts in the city today. This wood paneled elevator is operated manually using a crankshaft. The building is one of the few in the city where its heritage is preserved. Professor spoke to the Kotak family and picked up a sabbatical for 2 months. The old liftman was given a paid holiday after he gave a week’s training to the Professor on how to operate the lift and stop precisely on each floor without any “hiccups”. Professor told me that those two months were memorable as he “met” with great personalities ranging from Banking to Bollywood. There wasn’t much opportunity for conversations but a lot for observing people – especially how they behaved in the lift. He could also see a change on the face and behavior of people before getting inside the lift and while getting out. This change used to make him think about the people they must have met and the outcomes/decisions of the meetings. Some of the celebrities who used the lift included Shah Rukh Khan, Sachin Tendulkar and Bal Thackeray who used to go at the fourth floor for appointments with Banaji Eye – an eye specialist. And of course, there were people from the ICICI Bank working on the second floor who were rather formal and had grim faces. Many people, especially children, used to come to just to see and experience the lift. Professor used to take the children in the afternoons to the fourth floor and back and the building management was quite OK with this gesture. Professor explained that this sabbatical taught him patience and a philosophy that what goes up, eventually comes down, but to rise again. “One can get excitement even in the so called routine nature of the job – but if you know how to” Professor said while extinguishing his cigar. I thought the Professor was right once again. “Well what is after the NCPA sabbatical?” I asked. Sometime in May 2017, I plan to work with Shuaib at the Air Cool saloon. Professor said. Shuaib will train me in the first 2 weeks on some of the basics. This nearly 60-year-old hair saloon has now reopened on the Vir Nariman Road in Mumbai, a short 5-minute walk from its former location and retains the classic vibe of the original salon. The imposing metal barber chairs are still there (re-upholstered in red) and so are all the old staff, wearing white short sleeve shirts with “Air Cool” embroidered on the hems. There is a wall of old barber tools, too — scissors, razors and shaving brushes hung up in glass frames. 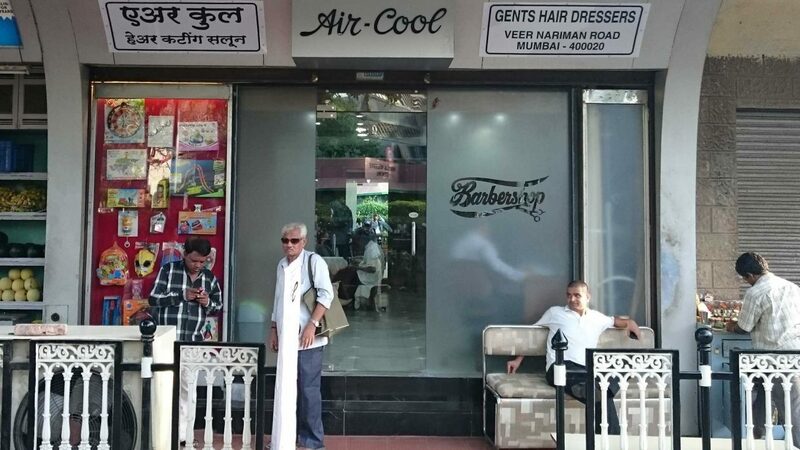 Apparently, many celebrities including ministers have been customers of Air Cool for years. “Knowing you Professor I am sure you will converse with your customer on sustainability” When I said this, Professor laughed. Few months later, in June 2017 and on the World Environment Day, I saw news on the TV channels that Environment Minister of Maharashtra has come up with a State Level Sustainability Action Plan – integrating with Climate Change. I was simply impressed with such a pleasant accident. But when I saw Minister’s interview taken by Mirror Now, I realized that he looked a bit different. It seemed that he had just taken a good haircut. I suspect he did his haircut at the Air Cool Saloon while my Professor friend was on sabbatical!